After decades of relegating its LGBTQ characters to the sidelines, Marvel really turned things around with America and Iceman, its first two ongoing series featuring queer characters as their titular leads. Both books have been important additions to Marvel’s ever-expanding portfolio, but it seems as if the time has come for at least one of them to end. March’s comics solicitations are out this week and a number of titles including America are conspicuously missing, which heavily implies that the titles have been canceled. This afternoon, Marvel editor Heather Antos confirmed that Gwenpool, another title missing from the March solicits, was definitely canceled, further suggesting that any titles missing from the lineup as of today are done for. It isn’t at all surprising that America could be ending; comics cancellations happen all the time, and the entire comics industry is in a rather tight spot right now. 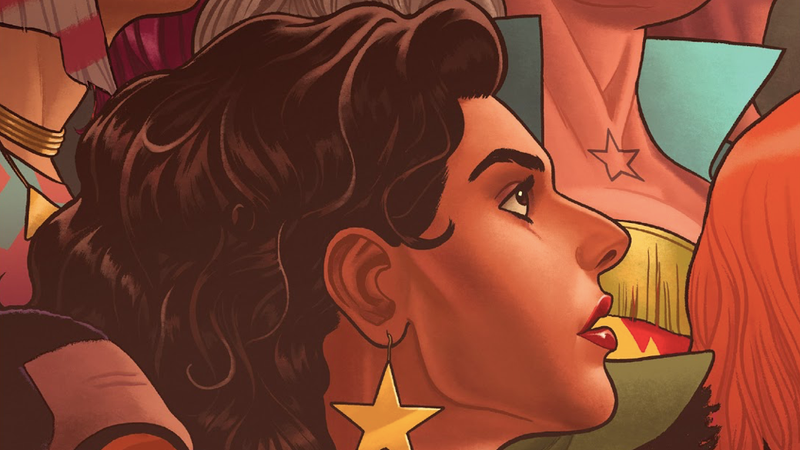 At the same time, though, the book seems to have suffered from the exact same issue that affects so many other comics with leads who aren’t straight white men. The books came out, there was little to no promotion around them, sales slumped, and now they’re most likely being axed. While it’s not difficult to understand the basic economics of the comics industry, the continuation of this pattern does beg a larger and more concerning question about the industry’s future. If this continues to be the trend for books starring characters from traditionally marginalized communities, then can any publisher ever hope to become as diverse and inclusive as they claim to want to be? We’ve reached out to Marvel for official comment about America futures and will update if and when we hear back.